This weekend, don’t settle for strips of bacon. Take brunch to the next level with a bacon weave. Learn how to make one in this week’s episode of Mad Genius Tips. Here, eight breakfast recipes that can be amped up with a bacon weave or two. Replace the strips of applewood-smoked bacon with a bacon weave to get bacon in every bite. Line a tortilla with a bacon weave before rolling it up with scrambled eggs, feta and spinach for a super-meaty breakfast. 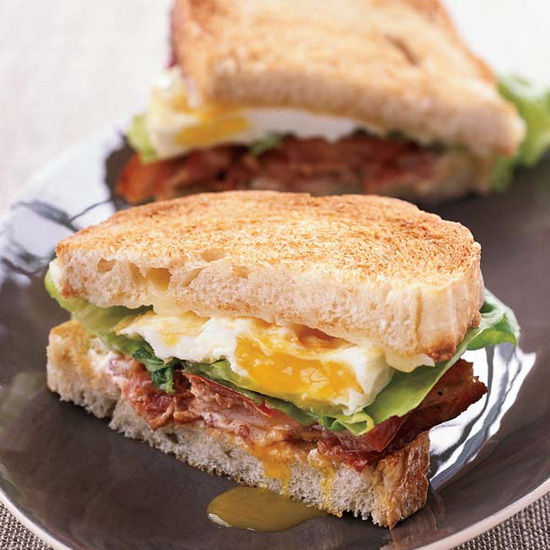 Thomas Keller’s gift to anyone with a hangover combines three of the world’s most popular sandwiches—BLT; fried egg; and grilled cheese. This decadent take on eggs Benedict includes scrambled eggs with anything and everything—including a bacon weave. This savory bread pudding combines all the classic breakfast sandwich ingredients—bacon, egg and cheese—into a hearty brunch dish. Instead of simply sprinkling bacon on top of the casserole, top it with a crunchy bacon weave crust. Sprinkle the bacon weave with brown sugar and drizzle with a five-spice glaze for an incredible addition to this exotic breakfast sandwich. These addictive bacon tacos (made even more bacony with a bacon weave) are pressed on a griddle and eaten more like quesadillas. This irresistible breakfast is a hybrid of an egg salad sandwich and an Egg McMuffin. Try replacing the country ham with a bacon weave.